728 Series drills are economical general purpose drills that are ideal for most maintenance applications. The D550S is focused on providing maximum productivity and durability for professional end users in a wide range of drilling and fastening applications. Industrial grade features allow for easy and secure one-handed bit insertion, tightening and removal. Two-speed all metal gear train provides superior power and durability. 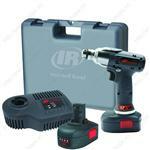 The D550 offers the most power-to-weight of any cordless drill/driver in its class. Patent-pending IQV™ technology ensures maximum performance, durability, and battery life. The D550 is compatible with both Lithium Ion and Nickel Cadmium 14.4V IQV batteries. Industrial keyless ratcheting chuck with steel jaws guarantees industrial grade performance. Fifteen-position clutch plus drill mode makes the D550 ideal for a wide range of drilling and fastening applications. The D650S is focused on providing maximum productivity and durability for professional end users in a wide range of drilling and fastening applications. Industrial grade features allow for easy and secure one-handed bit insertion, tightening and removal. Two-speed all metal gear train provides superior power and durability. The D040 ¼” Mini Drill is the perfect solution for all of your tight access drilling applications. At less than 7” long and weighing less than 2.5 lbs, this tool can fit into even the smallest areas with ease. With a variable speed trigger and maximum free speed of 1100rpm, the D040 is optimized for drilling in metal with up to ¼” diameter bits, and tackling small fasteners with ease. Compatible with all 7.2v IQv batteries including NiCd and Lithium Ion. The D650 offers the most power-to-weight of any cordless drill/driver in its class. Patent-pending IQv technology ensures maximum performance, durability, and battery life. The D650 is compatible with both Lithium Ion and Nickel Cadmium 19.2V IQv batteries. Industrial keyless ratcheting chuck with carbide steel jaws guarantees industrial grade performance. Fifteen-position clutch plus drill mode makes the D650 ideal for a wide range of drilling and fastening applications.